Get started for free. Sign in and File Form 2290 for free of cost. Pay when you File and submit your details. Choose the best IRS Payment Method and Pay your Heavy Vehicle Use Tax. Our simple pricing help you to File 2290 for single or more vehicles. 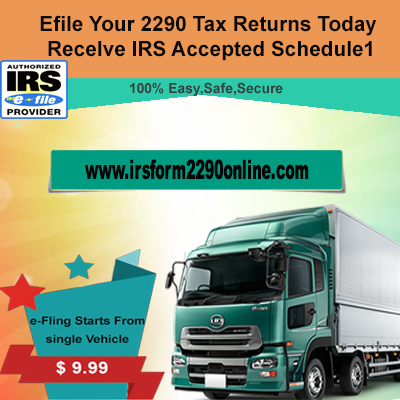 Value your money by paying it to the Trusted Efile Provider like irsform2290online.com Have a trial for free Pay only when you file. 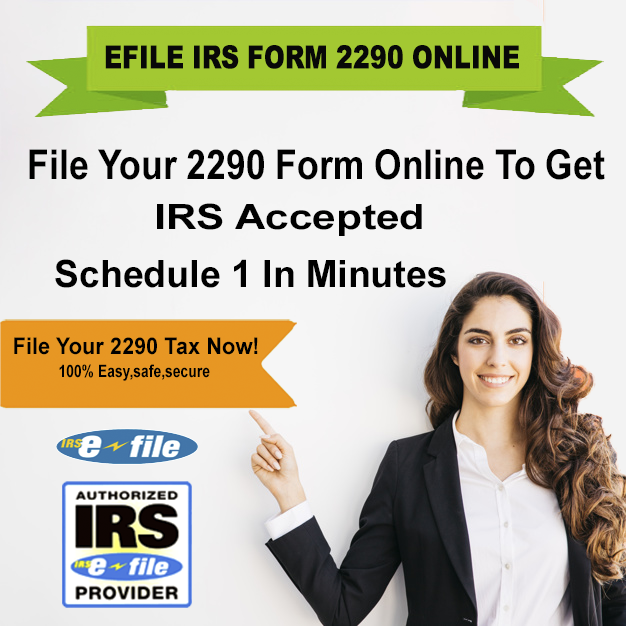 Here you get a accurate solution for Filing 2290 Online. 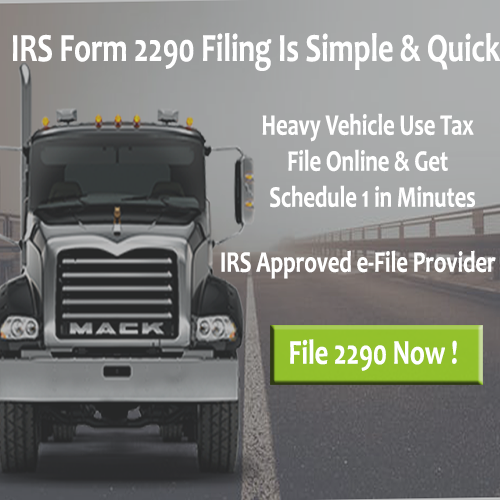 The best place to File Form 2290 Online with an affordable price. Choose the best and Make the best. If you wish you to Pay your Heavy Highway Vehicle Use Tax easily choose the latest option of paying Credit or Debit Card. Also, you can pay from EFTPS, EFW, Check or Money Order.